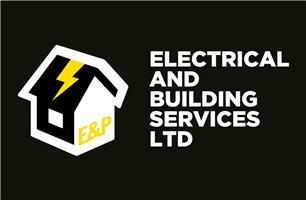 E & P Electrical & Building Services Ltd - Builder, Electrician based in Angmering, West Sussex. E & P Electrical and Building services is a joint partnership between Gareth and Nick with over 16 years of experience within the building and electrical trade. We have branded ourselves into the electrical sector of the Industry 8 years ago after many years in the building trade. We are fully Insured and qualified and registered with the NICEIC. Our services are always done to the highest standard and the most competitive prices guaranteed. We offer free no obligation quotations to fit around your own commitments with one of our friendly team. If you are unsure of any of your electrical or building needs please get in touch as we are happy to offer help and advice. You can always expect a polite and friendly service and we will make sure your job is our priority and you are 100% satisfied with the work carried out. Once the quote has been sent this will be the final balance due, we will always discuss any additional work that needs to be carried out beforehand. We also offer a project management service - anything from the smaller jobs like putting up internal wall and painting and decorating to loft conversion and extensions. We can help make your house a home. Please gives us a call today and one of our friendly staff will be happy to help .